now 3 Data Center Locations to choose from! Data Center to Data Center Point to Point Fiber available! 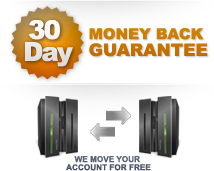 ScarabWeb offers an extensive line of dedicated servers from basic to sophisticated with the latest technologies to suit any business or personal needs. Our entire fleet of dedicated servers have the option to be 100% managed, so you do not have to worry about running your server or fixing any problems.Fully Managed means that we will take care of the setup of your server, assist you with troubleshooting, and everything in between. 100% Network & Datacenter uptime! Low Latency multiple 100Gbits backbone! 8+ High-End Carrier Network Blend! Cisco & Juniper Powered Network! 24/7 Network & Server Admins on Staff! Prebuilt & Ready to go servers! Max. 12 Hours Server Provisioning! Optional Private Cloud Ready Servers! Optional iSCSI/FCOE HBA or 4/8Gbits FC HBA Available to build a Private Cloud! Optional SAN volumes from 3PAR, EMC, Equallogic and Violin Memory (SSD!) Available! Optional Dual port Bonded Network Interfaces for 100% Network redundancy! Custom Configurations and Larger Quantity Private Cloud Configurations Available! HIPAA, SSAS70, PCI Complaince Solutions Available! Optional Cloudstack. OpenStack & Onapp Available to choose. We will gladly create you a custom server. Please contact us with your requirements and we will send you a quote.